The owners of this two storey beach house wanted a large upper floor living area that opened out onto the deck where they could soak up the ocean views whilst entertaining family and friends. 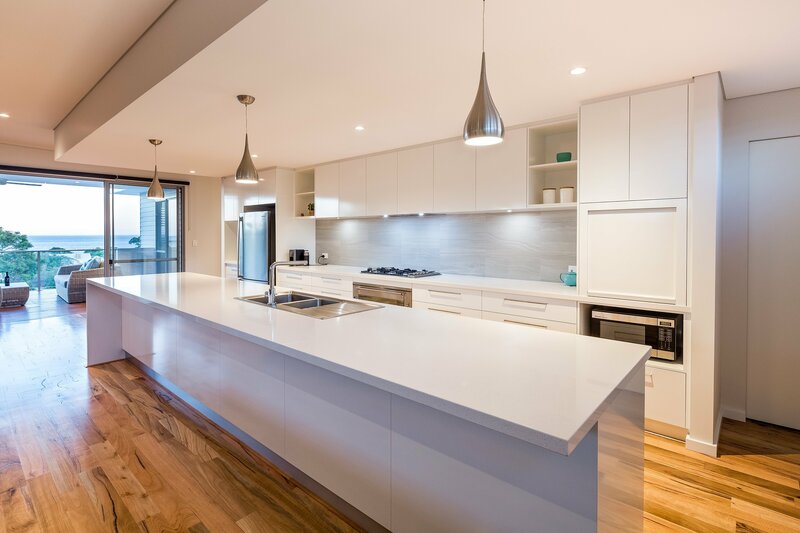 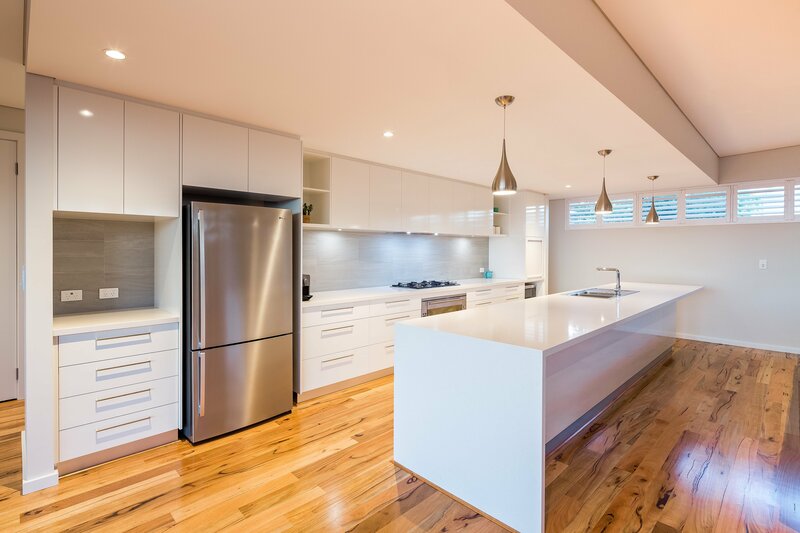 One of the key features of this home would be the large galley style kitchen which boasts plenty of storage space with an island bench that expands almost 5 meters long. 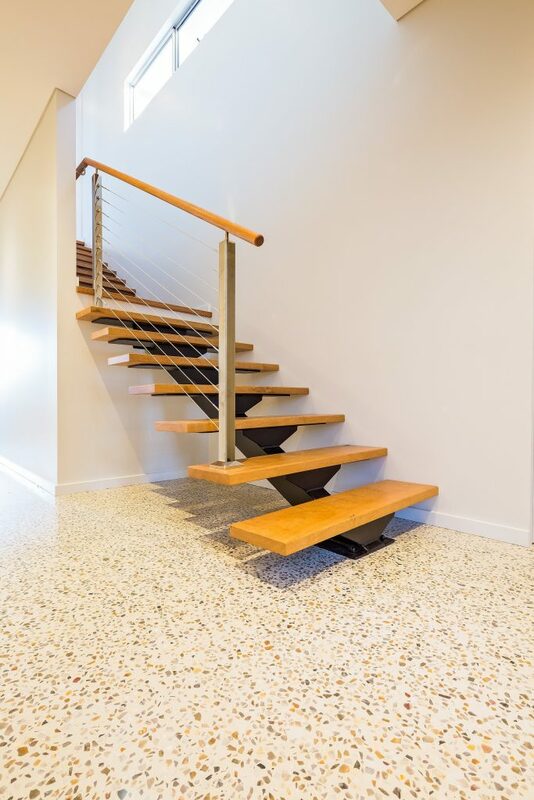 The clients opted for decorative polished concrete to the ground floor living areas making it easy to maintain with sandy foot traffic throughout summer. 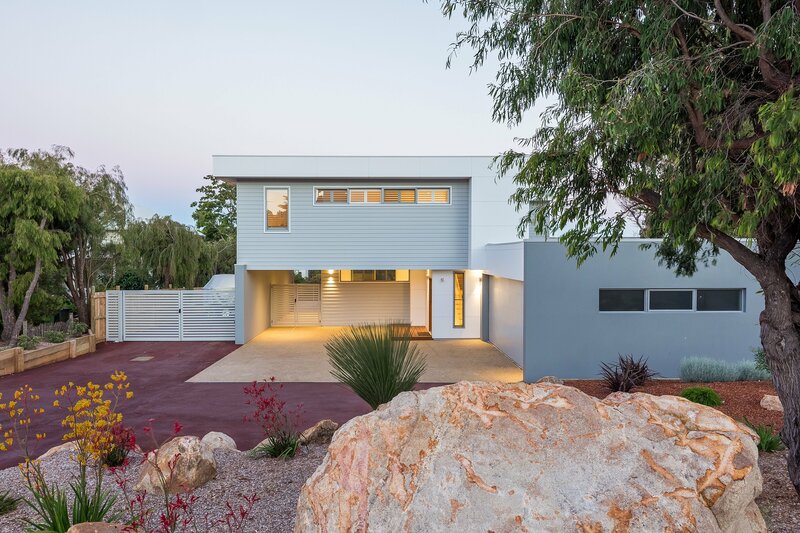 The light colour of the concrete adds to the coastal style feel of the home. 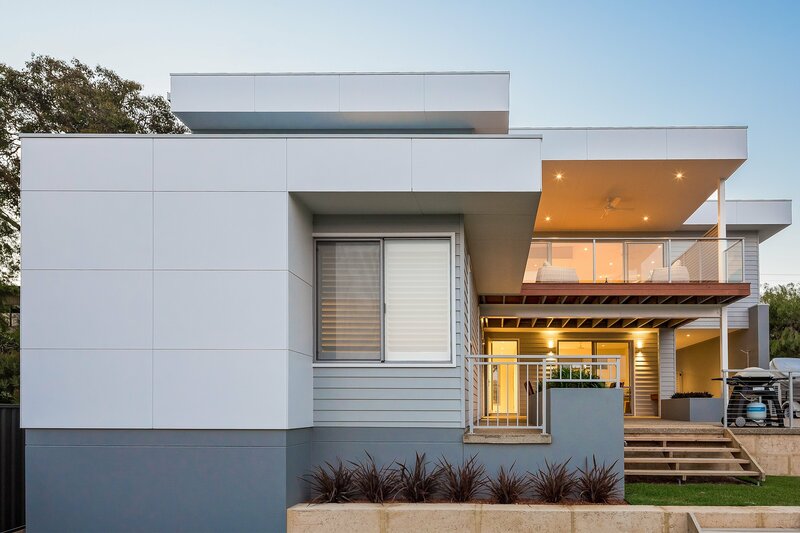 The exterior of the home is clad with a combination of Scyon Newport and Matrix cladding, resulting in a modern spin on the Hamptons style. 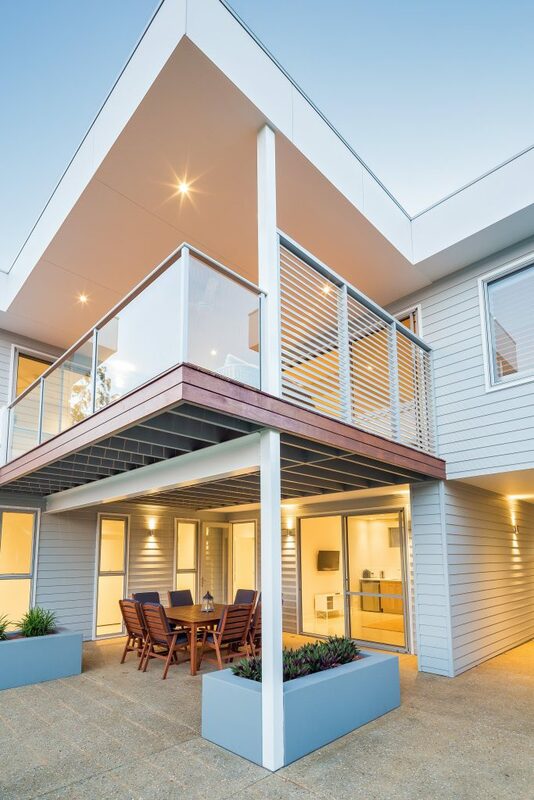 The block was quite steep so a significant amount of retaining was required to create a family friendly landscaped backyard.